How to Increase the effectiveness of Agile software development? "How to Increase the effectiveness of Agile software development?" Agile software development focuses on rapid and flexible applications development, testing often, and delivering functional bits of them as soon as they’re ready. Companies that have totally adopted Agile methodology for their projects have definitely seen measurable improvements in this time of market. What are the significant challenges enterprises face in the process of adopting Agile software development? How organization’s can improve their Return on Investment with implementing an agile approach to software development and testing? Why agile businesses need Agile software development? Major reasons why companies decide to adopt agile? 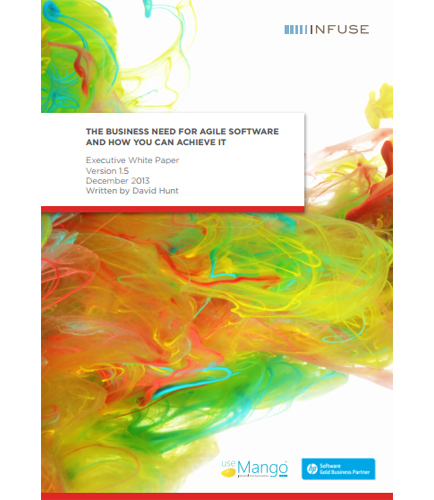 How can companies become more Agile by applying right set of Agile business concepts? Businesses need to be Agile in order to survive in today’s economic climate where technology is changing rapidly, where competition is fierce and where time to market is critical.